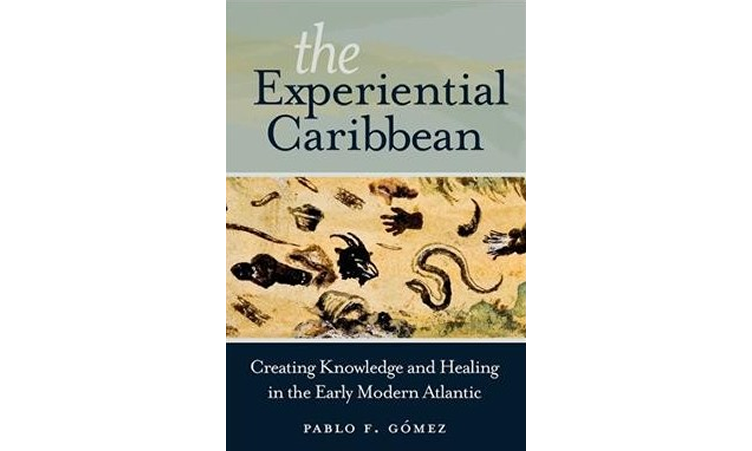 Indianapolis, Indiana– University of Wisconsin-Madison Professor Pablo F. Gómez’s The Experiential Caribbean (UNC Press, 2017) has won the 2018 Albert J. Raboteau Prize for the Best Book in Africana Religions. Gómez’s carefully-researched book tells the story of over one hundred Black social and spiritual leaders who were regarded as masters of healing. Their use of rituals relied on what might be called evidence-based ideas about sensorial experience. Trying to understand what was universally true about the human body, these healers emphasized empirical causes and cures for disease. Gómez’s book provides a rare glimpse into their intellectual world. Members of the committee included Aisha M. Beliso-De Jesús (Princeton University); Zekeria Ahmed Salem (Northwestern University); Nicole von Germeten (Oregon State University); Jason Young (University of Michigan); and Judith Weisenfeld (Princeton University). The Albert J. Raboteau Prize is awarded each year to an academic book that exemplifies the ethos and mission of the Journal of Africana Religions, an interdisciplinary journal that publishes scholarship on African and African diasporic religious traditions. Albert J. Raboteau, for whom the prize is named, is author of the classic Slave Religion: The Invisible Institution in the Antebellum South, a book that has made a lasting impact in the field of Africana religions. To become eligible for the award, books must be nominated by an academic publisher, and a prestigious five-member committee is responsible for assessing these nominations and determining a winner. The selection, thus, is international in scope and highly competitive. The Journal of Africana Religions receives support from the Indiana University School of Liberal Arts in Indianapolis and Virginia Tech. It is currently housed at Indiana University-Purdue University Indianapolis (IUPUI) and is published by Pennsylvania State University Press.